Ontario Knife 499 Air Force Survival w/Sheath, Ontario Knife Company Air Force Survival fixed blade. The Old Hickory 5075 Cabbage Knife has a hardwood handle and an overall length of 10 3/8″. The Old Hickory 73 Sticker Knife has a hickory wood handle and a blade length of 6″. The Old Hickory 1001 Ice pick has a hickory wood handle and an overall length of 8.5″. The Old Hickory 417 Filet Knife has a hickory wood handle and a blade length of 6 1/4″. The Old Hickory 7-10 Butcher has a hickory wood handle and a blade length of 10″. The Old Hickory 7-14 Butcher has a hickory wood handle and a blade length of 14″. The Old Hickory 76-7″ Cleaver has a hickory wood handle and an overall length of 12″. The Old Hickory 72-6″ Boning Knife has a hickory wood handle and a blade length of 7.50″. The Old Hickory 753-3 1/4″ Paring Knife has a hickory wood handle and a blade length of 3.50″. The Old Hickory 75-8″ Slicing Knife has a hickory wood handle and an overall length of 8″. The Old Hickory 750-4 Pairing Knife has a hickory wood handle and an overall length of 7.50″. The Old Hickory 79-8″ Cook Knife has a brown wood handle and an overall length of 13″. 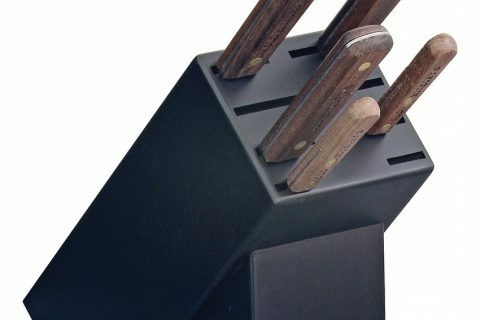 The Old Hickory 705 5-piece-set contains 8″ slicer, 7″ butcher, 6″ boning, 4″ paring and 3 1/4″ paring kitchen knives. Ontario Knife Company Rat Model I. This folding knife has a 5″ closed and a 3 1/2″ blade. Ontario Knife Company Rat Model II. This folding knife has a 5″ closed and a 3 1/2″ blade. Ontario Knife Company Rat Model 1. This folding knife has a 5″ closed and a 3 1/2″ blade. Ontario Knife Company Rat Model 1A. This folding knife has a 5″ closed and a 3.625″ blade.